Completed in 2016 as an introductory computer build with my older brother. 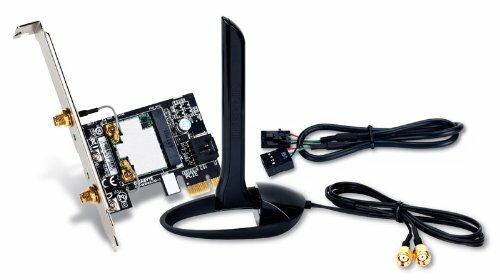 Prior to building this computer, we conducted research on computer building for about half a year and selected our parts to stay as close to $1000 USD as possible. Originally planned and built as a gaming PC, but I eventually took up video editing and streaming as a hobby and it still manages to perform those tasks well. Still in use as of this posting and performs well than what I originally expected. Pictures shown are as recent as this posting. Our first mistake was not checking for any parts that were dead on arrival before assembly. Parts gradually came in slowly and the wait was killing us. The last part to come in was the SSD, so when it arrived we began building. Luckily for us, no parts were dead and surprisingly all hardware worked on the initial boot even though we were expecting something to be disconnected. Starting with the motherboard, we installed the CPU and RAM sticks without any issues. The CPU cooler was a little difficult to mount to the motherboard with its plastic-like peg feet. Mounting the motherboard with those components installed inside the case was easy and straightforward with no issues. The GPU was mounted in the first PCIe x16 slot with the Wi-Fi adapter above it after the motherboard was secured. The thumb screws on the PCI brackets were a bit odd, they were initially really tight that they couldn't be loosened by hand at first and trying to fit a screw driver to unscrew it was a little difficult. Hard drives were initially mounted in a drive cage that housed two caddies. The drive caddies are nice and easy to work with, so mounting the drives and connecting its cables wasn't difficult at all. The disk drive was also easy to install. There are two 5.25" positions for it to be mounted, the topmost bay was a bit too tight for my liking so I just installed it in the bottom one closer to the drives instead. All the power cables were attached to the PSU before mounting it inside. Cable management wasn't terrible and easier than expected. The size of the case, especially with the dented side panel to help secure that 24-pin cable, and various cable tie points helped us ensure all cables were nice and snug. Powering on the computer went without any hiccups and was really satisfying watching those blue LED fans light up. Windows 10 took a while to install as expected, and once it was we were really happy about completing our first build ever. Temperatures were read using GPU-Z for both CPU and GPU. Tests used were Prime95 and Unigine Valley Benchmark on Extreme HD. Ambient temperature of the room is about 27°C. All fans are stock in the case and provide pretty nice out of the box cooling to the CPU and GPU. Smoothly runs most of my games at 60+ FPS on high graphics. Gaming and recording games runs smoothly at 1080p60 for most games played at normal/default or lower graphics, on high or ultra graphics frame freezing becomes apparent. Recording and streaming is currently done with OBS Studio, but I've used OBS Classic and Streamlabs OBS. The x264 encoder may run into some frame freezing, but the NVENC H.264 encoder so far has shown no issues. I normally stream on 720p since my current internet cannot manage a satisfactory upload rate to accomplish 720p60 quality or higher, but this build is capable of a clear video at 720p60 depending on the type of game. Currently runs two 1920x1080 60Hz monitors without any issues. Extremely happy with this for a first build. Most of the games I play aren't too demanding and I mostly play on lower settings to ensure frame rate at really fast moments of play. Playing on low is also nice for when I need the additional power to record or stream. If any regret I do have with this build its the price on that case. Its size is great for a first build but that price is pretty steep compared to cases you can get nowadays that offer better features. After additional research after building this, 2016 ATX cases like the Phanteks Eclipse P400 or Corsair Carbide 400C may have been worth more for their prices. Next build will definitely be aimed for video production and streaming. 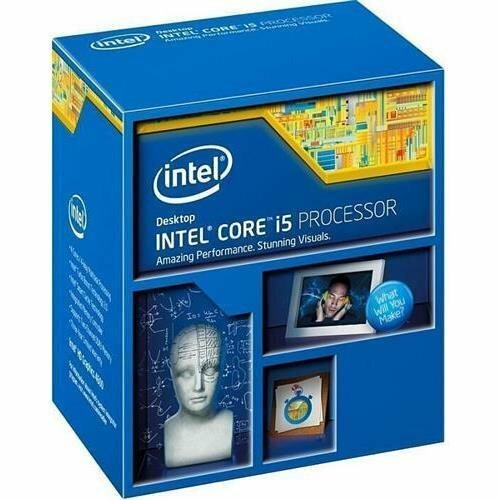 I'd like to try overclocking a CPU for rendering while I have my eyes set for a GTX 1660 Ti or an RTX GPU for gaming and streaming, which I may also want to overclock. With the new NVENC encoder in OBS Studio, having one of those will definitely help with streaming. Additionally, the GPU would help with a higher resolution monitor at 144Hz for even more frames. For the case, I'll definitely try something smaller for a cable management challenge and will most likely go for one that doesn't have a windowed side panel. The blue LED fans are nice but I rarely leave the LED lights on, so I'll also most likely pass on any sort of additional LED lighting. An ITX enclosure seems enticing so I may want to try my hand at an ITX build next. About six months after the initial build I was curious about the drive cage placement. My thoughts were that it may be blocking airflow to the CPU cooler, so I decided to place the drives in the back. I kept the HDD in its drive caddy but took the SSD out. The HDD is nice and secure but the SSD sort of just dangles down, secured a little behind the cables coming from the top IO. Removing the drive cage did improve CPU temperatures by about 2°C. Having the drives like that still works despite the dangling SSD, but I believe the case could've optimized much of the unused space in the back for additional drives, especially with 2.5" drives. The 250GB SSD was upgraded to a 500GB SSD around mid-2017. 250GB wasn't enough for all the games I wanted to play and all the other software I use. Was very happy to upgrade to 500GB, though as of this posting about 75GB of it isn't used. The 250GB SSD sits in my desk, as I don't have an additional SATA cable to use it and don't really see a need to use it anymore. I plan on installing it in my little brother's MSI Trident 3 PC once the warranty on that PC expires so he can experience SSD speeds, but for now he can suffer with his HDD and get flamed in Rainbow Six Siege for his loading time. RAM was changed to Kingston HyperX Fury Black around January 2018. One of the Crucial Ballistix Sport RAM sticks started causing BSoDs on Windows startup, diagnosed through MemTest86. I still wanted 16GB of RAM and could've just bought a single replacement ram stick, but decided to just buy a new set instead and not worry about the older stick failing. An Elgato HD60 Pro was gifted to me for the 2018 holiday season. Receiving it was rather exciting as it allows me to record and stream console games, primarily from the Nintendo Switch, and I can potentially move it to another build. I initially wanted to intstall it below the GPU, but then realized the size of the capture cared compared to the Wi-Fi adapter was much bigger and may choke the GPU fan if it was placed there. Instead, I installed it in the original slot holding the Wi-Fi adapter, and that adapter is now below the GPU. Even though it slightly blocks one of the GPU fans, temperatures for the GPU remain the same. Overclocking wasn't necessary for this build, and for that price this CPU was hard to pass on. 3.3 GHz speeds turbo boosted to a little under 3.7 GHz was really nice. Multitasking has been pretty easy while using this and rendering videos is pretty good. Really great for its price point. A nice aftermarket CPU cooler which helps keep my CPU running cool under load. Its price is nice and included good thermal paste, but mounting this to the motherboard was harder than expected. Still works nicely in my build, only wish mounting it wasn't so difficult with its plastic-like peg feet. Not too knowledgeable when it comes to motherboards, but this ATX motherboard offers a very user-friendly BIOS and a good amount of PCI slots to expand. Mounting wasn't difficult and installing all my components went smoothly. The ability to overclock a CPU and support for an M.2 drive are nice features should I choose to reuse this board for a later build. Nice RAM for its type and the price I snagged them at. After more than a year of usage, one of the RAM sticks gave out much faster than I anticipated. A good learning experience trying to figure out what was wrong with my build, but it also led to a few frustrations until I realized it was a faulty RAM stick. 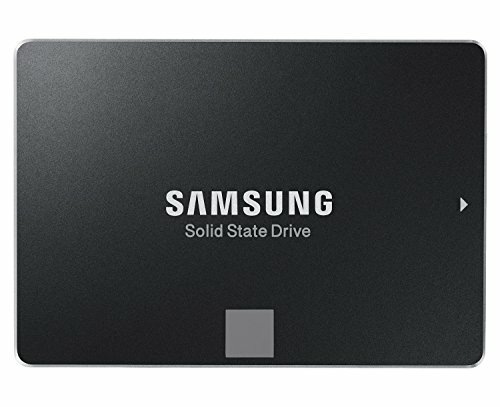 Nice and fast SSD for startup and a few games, especially coming from an older computer with a HDD boot disk. The amount of GB wasn't enough for my storage needs and this was eventually upgraded. There's cheaper alternatives to this as well with the same capacity, but this was pretty reliable to use. As of this review, it only holds about 1/3 of its capacity (610 GB) since I started using it about three years ago. Knowing it can store a lot makes it a great place for long-term storage of files. Not running any applications off of it and a big amount of the used space is for game recordings. Recording 1080p60 gameplay to it using the different OBS applications worked really well. For the price at the time this card seemed like the best option. 4GB of VRAM and its clock speeds made my gaming experience pleasant. Prior to using this GPU, I always played on integrated graphics so this was a really nice upgrade. Handles video encoding during streaming (720p30 for internet reasons) and recording (1080p60) really well and has not shown any problems so far. Powers two 1080p 60Hz monitors as of this review with no issues. Cools nicely with three 200mm blue LED fans (two front intake and one top exhaust) and one 140mm fan (rear exhaust) included. 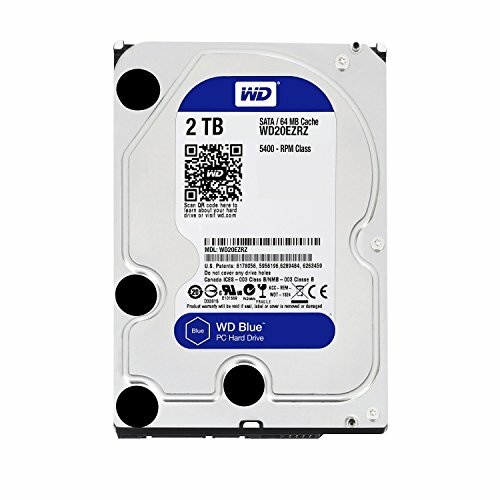 Contains eight 3.5" drive bays which all also support 2.5" drives. The side panel window scratches easily with a fingernail. Behind the motherboard tray offers a few cable tie points and a dented side panel to help secure cables, but lacks any places to mount drives that are more commonly seen today. The price is quite steep and there's better cases nowadays that offer more features for a lower price, but still a nice case to have with its mammoth space. 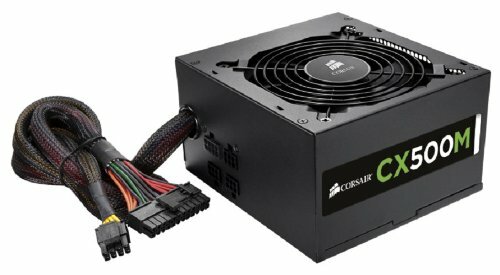 Fully-modular PSU wasn't seen as necessary with my ATX build, and this PSU offers plenty of power to my computer. The 24-pin cable especially wasn't hard to work with given the space my case offered. For its price it was a pretty good deal and continues to run strong. Used to install Windows 10 during the building process and reads any DVDs or CDs I have nicely. Cheap and reliable and although rarely used nowadays, having it is always helpful. Hasn't really given me any issues but an update did break the Bluetooth functionality on my wireless network adapter. Not enough to make me dock a star as I rarely used Bluetooth and so far hasn't given me any major headaches. A nice addition if the motherboard lacks any built in wireless connectivity. Enables me to stream and game reliably and delivers a satisfactory speed as I'm quite far from the internet router. Bluetooth also works with this device so that was a nice addition.